Recent review: Very punctual. Awesome singing and funny presentation. Will hire again. Recent review: Great performance, arrived on time, and very nice. Arriving on the music scene in the late 19th century, Mariachi Bands brought an upbeat yet traditional sound to Mexican culture. With a blend of guitars, violins, trumpets, the guitarron, and the vihuela, Mariachi music can truly liven up a party! The upbeat authentic Mexican folk music is the perfect accompaniment for wedding receptions, Cinco de Mayo parties, and so much more. 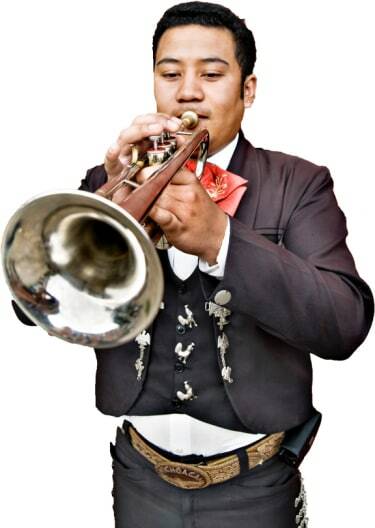 Search for Mariachi Bands in Sacramento, California above. Please note that these Mariachi Bands may also travel to West Sacramento, McClellan Park, Represa, Rio Linda, Carmichael, El Macero, North Highlands, Elverta, Clarksburg, Mather, Antelope, Fair Oaks, Gold River, Pleasant Grove, Hood, Franklin, Orangevale, Wilton, Courtland, Dixon, Granite Bay, Yolo, Knights Landing, Robbins, Loomis, Penryn, and Herald.